Weddings Inc knows how important your wedding ceremony is to you. Regardless of whether you are local or flying half way around the world, you want this one special moment to be about the two of you. 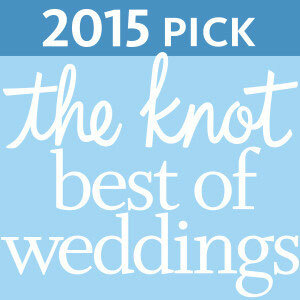 Which is why Sensational Ceremonies is a Weddings Inc Preferred Vendor; their name says it all! They create sensational wedding ceremonies for all of the couples they work with. This amazing award-winning team of licensed officiants makes the process fun and enjoyable for you. 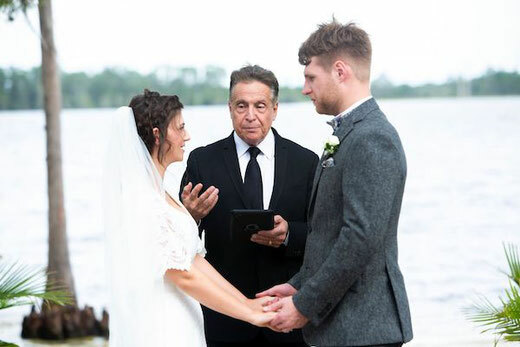 Whether you are considering a non-denominational, civil, spiritual, multi-faith, secular, or non-secular wedding, they have an officiant to fit your specific wedding requirements. Sensational Ceremonies has nearly a dozen ordained officiants and notaries to officiate wedding ceremonies. With a number of different faith backgrounds and personalities there are wonderful options to fit your wedding needs. Owner Rev. Glynn Ferguson has hand selected his team of officiants and hold each and every one to high standards. All of the Sensational Ceremonies officiants receive rave reviews from couples and our Weddings Inc team alike. As part of your Weddings Inc all-inclusive wedding package, not only is a licensed officiant included in your wedding package but we also offer assistance with obtaining your marriage license. Getting that help with obtaining your marriage license is a huge relief to most couples, especially when traveling to Orlando from out of state. Officiating your wedding and obtaining your wedding license are just two of the pieces of your Weddings Inc all-inclusive wedding package. The attention to detail and focus on you and your needs are something our team prides itself on. We know that each and every one of the Preferred Vendors included in your package are recognized as some of the top wedding vendors in the greater Orlando area. Call our Weddings Inc team today to talk about your wedding and an all-inclusive package that fits your needs and budget.